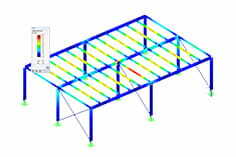 In the add-on module HolzPro I can not calculate bars with double rectangular cross-sections and linearly variable cross-sectional height. What is the reason? 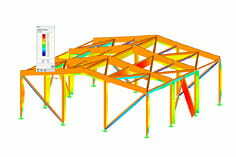 In the HolzPro module, double rectangular check cross sections (H-2B cross section) can only be dimensioned with a constant cross section height over the bar length. 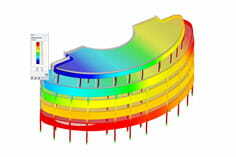 Gevoutete H-2B cross-sections are excluded from the design. In such a case, it makes sense to depict the two rectangular cross sections as individual rectangular cross sections. Either one models the two bars geometrically separated from each other and couples them eg with rigid bars, or one activates the option "Allow double bars" in the menu item "Edit" and assigns the two bars, which are initially on top of each other, corresponding eccentricities. These bars can then be dimensioned in the add-on module HolzPro. At the bottom of the Downloads section is an example file available.